When katie called us about her Orange Beach Al Wedding + reception , we knew she was going to be an incredible bride. Even her description of Nick was spot on and made us feel like we were going to be shooting a friends wedding. 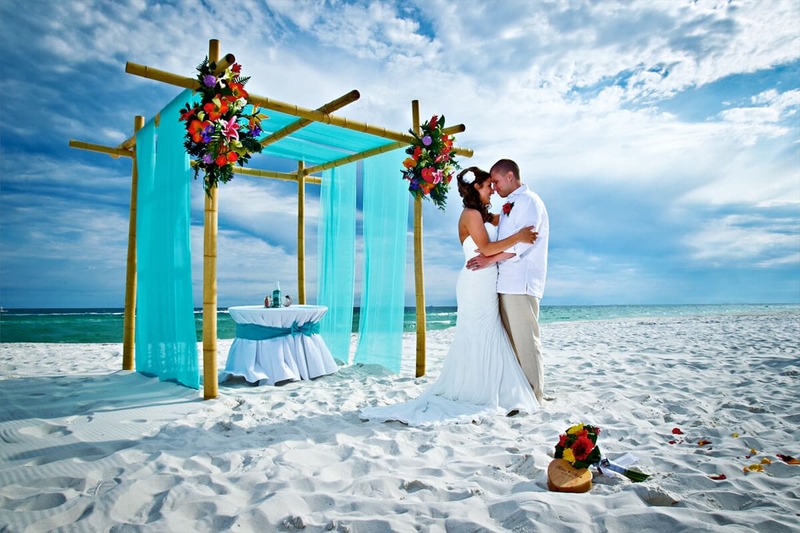 They were married on the beach in Orange Beach Alabama. The Ceremony decorations were by Big Day Weddings. We had the reception at the incredible Cobalt restaurant. It was Dj’d by the awesome Lin Wise and photographed by moi, Renaissance Portrait Studio. It was wicked fun!! You know your gonna have a great day when your greeted at the door with a huge grin and a hug! Her wedding was simple and sweet full of loved ones and close friends. The only drama we saw was the Dinosaur added into a picture for the fun of it. Yup, we walked the dinosaur. Fed the animals and rocked a sunset.